The Natalia Sats Children's Musical Theater is the world's first Children's Musical Theatre, founded in 1965 by Natalia Sats (1903-1993). 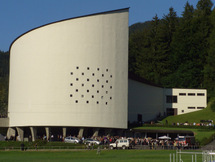 The Central Musical Theatre for Children is a square building, three interconnected cylinders are located on the roof. On top of the cylinder is the playful.. 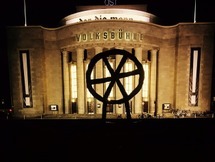 The Volksbühne was built during the years 1913 to 1914 and was designed by Oskar Kaufmann, with integrated..
Oskar Kaufmann (February 2, 1873 - September 8, 1956) was an Hungarian-Jewish architect. 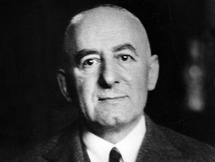 He was an expert of construction and design and played an active part in Berlin since 1900. 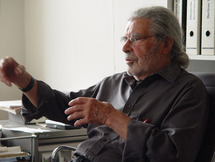 Among his most well-known works are the Krolloper in Berlin, the Volksbühne or "People's Theatre" and the.. 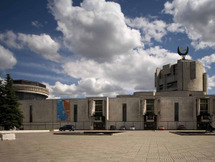 The "Globus" is an academic youth theatre and is one of the oldest Novosibirsk’s theatres founded in 1930. A group of theatre personalities from Leningrad headed by N.N. Mokshanov and N.F. Mikhaylov laid the foundation for the theatre. Specially for the theatre a new building as a huge.. 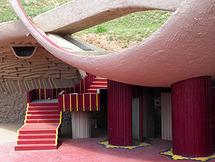 The Paolo Soleri Amphitheater was an amphitheater in Santa Fe, New Mexico which was founded in 1970 and closed in 2010. 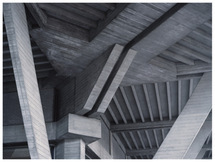 The structure, which was never finished due to design flaws, was designed by Italian-American architect Paolo Soleri. The amphitheater was built on the campus of the Santa Fe.. The Blue Theatre, also known as Teatro Municipal de Almada, is located in the town of Almada, in the same county, in Portugal, opened on July 17, 2005. 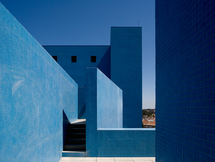 The building designed by architects Manuel Graça Dias, Egas José Vieira and Gonçalo Afonso Dias is a building itself coated in blue,.. 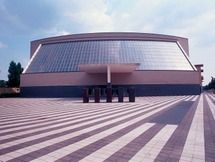 The Arcimboldi Theater (Teatro degli Arcimboldi) is a theatre and opera house in Milan. It was built over a 27-month period in anticipation of the closure and subsequent nearly three-year-long renovation of Milan's La Scala opera house in December 2001. It is located 4.5 miles from the city..
At the beginning of the last century, Erl had a Passion playhouse that seated some 1700 guests. 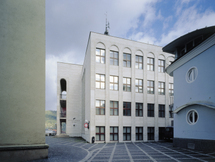 It was built in the period from 1909 to 1911 and was located in the Weidau District. The Passion play was performed for the first time in 1912 in a new 1500 seat Passion playhouse that was built at a.. In 1775 the Roman-Catholic school was built on the place of today’s Town Theatre. After 160 years of its existence it was in such a poor state that it was dangerous to teach in it anymore. 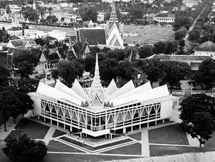 However, the town needed a school in the centre. 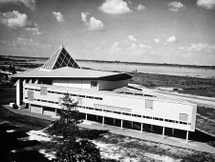 On 19 February 1941 the Žilina School Office performed a..
First competition of ideas for planning the Bregenz Festival Hall occurred in 1955, although approval of the construction project happened not until 1974 and new construction of the Festspielhaus started in 1977/78. The Festspielhaus is connected to the water stage, so if the weather suddenly.. 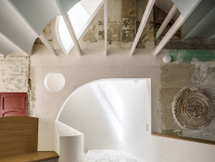 The Catalan office of Ricardo Flores and Eva Prats has refurbished and enlarged the building of the Peace and Justice Workers’ Cooperative, in Barcelona’s Poblenou neighborhood. 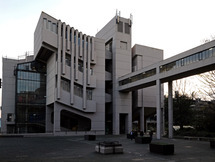 It was in disuse, and now is home to the Sala Beckett dramaturgy center. 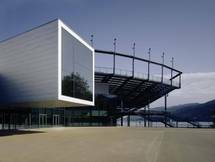 The intervention preserves the spatial.. 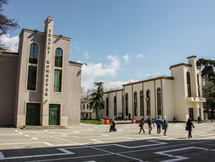 The building of the National theater of Albania dates in 1939 following the Italian occupation of Albania. It was previously a movie theatre and was primarily built to serve Italian soldiers as a form of entertainment (dopolavoro). 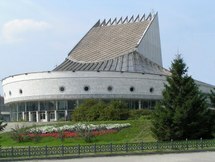 The inauguration of the theatre occurred on May 24, 1945. It as..